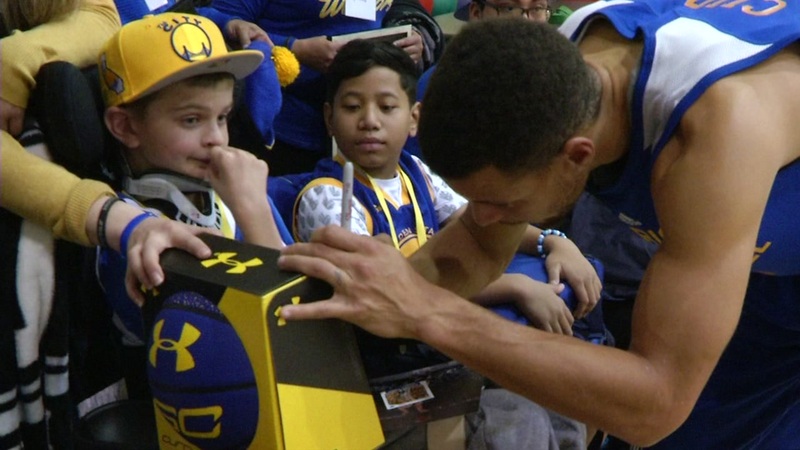 OAKLAND, Calif. (KGO) -- Stephen Curry is continuing the Golden State Warriors' season of giving by hosting 15 Make-a-Wish families from across the nation at Warriors headquarters. Curry supplied each kid with a duffel bag full of shoes, basketballs and gear. Then he personally signed all of it. The kids also took part in the Warriors team huddle during a closed-door practice. No doubt, the kids and the players made memories that will last a lifetime.